Darcie Whelan Kortan has an MFA in creative writing from Mills College. She has taught writing and communications at UC Berkeley’s Haas School of Business, Marist College, and IBM. She wrote the blog Raising James: Low Vision, Multiply Disabled, Adorable for three years for the National Association of Parents of Children with Visual Impairments (NAPVI) website. 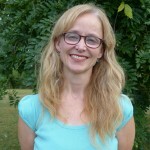 She titled and wrote the first issue of Watermark magazine for the Beacon Institute for Rivers and Estuaries and has been published in Comet Magazine, The Poughkeepsie Journal, Wild Plum Anthology and the family memoir, The Book of Whelan. She has also completed a collection of short stories and a book of poetry. She lives in New York with her husband and two children.